I slowed down for a second – just a second – to catch my breath. I thought I had made it past her but when I looked up she was right there. I was staring right into her face. Her lip curled bearing sharp, white teeth. Then, darkness. It was the last time I would surf. 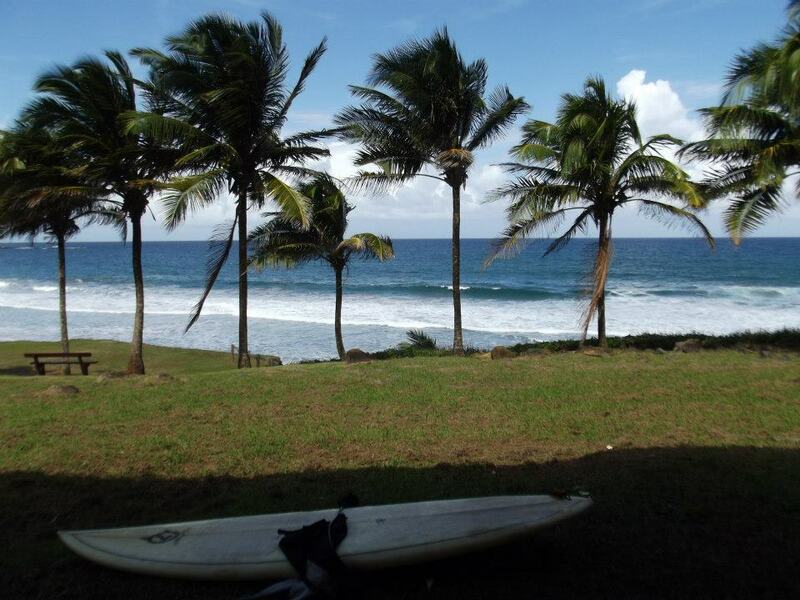 It wasn’t the season for surfing in Martinique. The waves were – well, there were no waves. Unless you call mushy, white, rolling water a wave. For simplicity’s sake, let’s just say the waves were crap. I had been feeling quite confident. I took one surf lesson the first year I was in Martinique, and by the second time I was going out on the water with my partner regularly. A rainy day a few weeks earlier, I rode my first proper wave. I was still using a 7’6 (not quite a long board, but not really a short board) called Betty that I rented from Arthur at Itacaré just up at the top of Plage des Surfeurs. It was pink and white with psychedelic flowers. In the water, a boy who couldn’t have been more than 12 was riding a custom board and wearing a yellow rash guard. He spoke to me in the lineup. “Mais ce n’est pas ta première fois?” he asked me. Part observation, part question. If he wasn’t 12, I would have thought he was making fun of me. But I was high on exhilaration. I had just rode my first wave. Not the one that you do in a lesson on a board twice as long as you are. 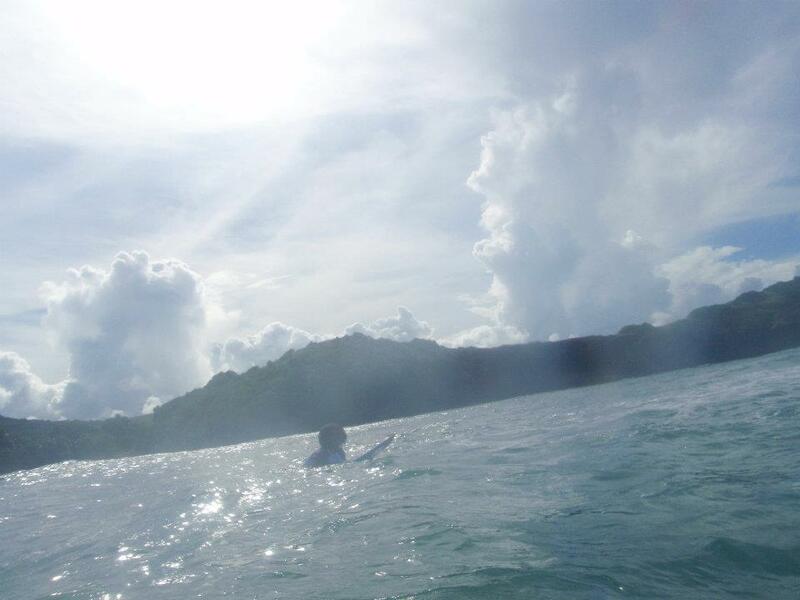 I paddled into a wave, felt the lift, popped up and slid down the wave as far as it went. It felt amazing: that high you get when you’ve conquered fear and nature. When I finally fell off I squealed a bit and couldn’t stop smiling. I swam over to my partner to see if he saw (he didn’t). “Non,” I answered. It wasn’t my first time surfing. “Ca se voit.” It shows, he says and smiles as he starts paddling into a wave. He stands up like he had been born doing it. I smiled, feeling almost too happy that an eleven-year old just told me I don’t look like a failure on a surf board. So you see? I was feeling pretty confident. Back to a few weeks later. It was the first good surf in some time. The waves were choppy and the wind direction was off, but there were the occasional gems. The forecast said waist-high waves which is high enough for someone with little experience and a fear of heights. I picked up Betty from Arthur and made my way to the beach with bae. The skies were grey – a rarity in Martinique – and it made the waves look even more vicious. I should have taken that as a hint to stay on the beach. He went out first and made it to line up with little effort. 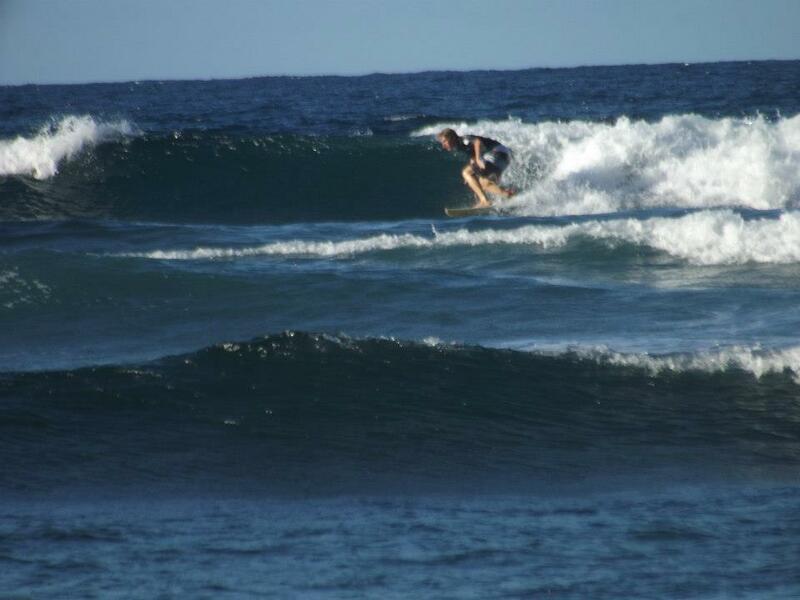 I was still unsure but surfing is often counter intuitive. You do the exact opposite of what your instincts are telling you to do. If there’s a wave that you’re not ready to take, you swim towards it and go over top. When you’re trying to ride a wave, there’s a point where you’re being picked up by it and you feel like you’re going to go feet over head. That’s when you stand up – at the exact moment you think you’re going to die. At least that’s how I think about it. A wave may not look that big when you’re paddling into it, and then you realize that the people ahead of you look like ants. In the water I went. The waves were coming in very short intervals and I struggled to make it halfway to the line up. I was exhausted. I took a break to wait for the set to end. There was a calm on the water, so I started paddling. At the edge of Plage des Surfeurs, there are rocks that go out into the water. Once you make it past those, you’re behind the breaking point. I was in line with the edge when a wave started coming my way. I hesitated for a second and then started paddling – hard. Like I said, I thought I made it over. I was wrong. I had only made it to the lip of the wave and this one was HUGE. It was too late to duck dive under and I didn’t have the momentum anyway. All of a sudden, I was at the top of a giant wave and it was starting to break. The last place you want to be on a wave when it breaks is there. I knew what was going to happen. I turned off the board, covered my head and bent my knees lest the board get pulled in a different direction. White water enveloped me, violently forcing me to the sea floor. I was thrashed around underwater literally in a sea of white foam – the washing machine, it’s called. I scraped my knees and feet on the reef. It felt like minutes before I could come up because I was caught in another set. Wave after wave was breaking on my head and every time it was another spin cycle. At some point, the leash came undone so I grabbed it in order to prevent injuring someone else. I had no idea where the board was. Turns out it was above me, so when I tried to surface for air, it was in my way. I missed my chance to get more oxygen in my lungs and another wave came. Since high school, going surfing has been on my “Things to do before I die” list. I didn’t think that I would be my near demise (at least, that’s how I felt). I love sports and I’m generally quite good at them. But my repertoire of athletic pursuits did not include board sports. The sports I excelled at were those that involved physical and psychological self-mastery; they had a set of rules and actions. As much as these are aspects in surfing – overcoming fears, listening to your intuition, and knowing the right time to go – nature is unpredictable. Afterwards, I was shaken and angry. I yelled at my partner and told him that it was his fault, even though it wasn’t. I demanded that we go home before storming off back to the car. I want to get on a board again, but I’ve been scarred by my near-drowning. What do you think? 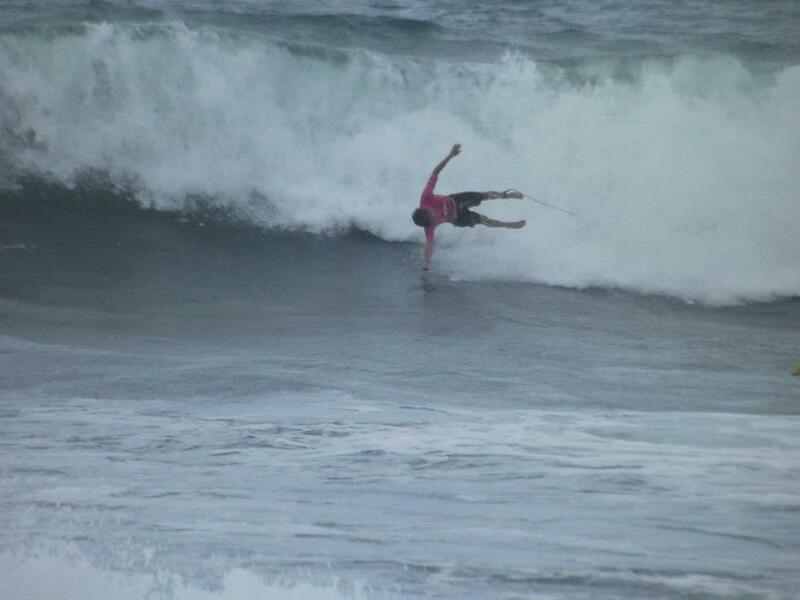 Should I get back in the water? Do you have any scary experiences that prevented you from doing stuff you love? Leave a comment below and let me know! ← Reader Question # 2: Is a British CV different from a North American resume? Your experience sounds really scary and I understand why you wanted to leave immediately. One of the first times I was backcountry skiing I fell into a hole and got covered in snow. It was snowing really heavy and for a minute I thought maybe my brother, who I was with, wouldn’t be able to find me. But he did. And then he forced me to immediately going backcountry again, so that I wouldn’t be scared. It worked and now I do almost nothing but go backcountry when I go skiing. If you loved surfing – like I love skiing – I think you should to get back on the horse that threw you. Take it slowly, take lessons, don’t pressure yourself too hard, but do it. Hey Mette, that’s sounds terrifying! It’s pretty ballsy of you to get back out there. I think you’re right, those old adages continue to be repeated for a reason. I don’t see why not! Martinique is one of my go to spots when I want to surf. I dont know why but I always have a great rip sesh there.